The extension of Hexcel prepreg plant in Parla (Spain), doubles capacity at the 23 years´ facility in order to support the ramp up for the Airbus A350 XWB and legacy programmes. Prepregs are fibre-reinforcements that have been pre-impregnated with a resin formulation and are cured using heat and pressure. The resulting laminates are exceptionally stronger than steel, lighter than aluminium, and as stiff as titanium. Carbon fiber, the raw material. 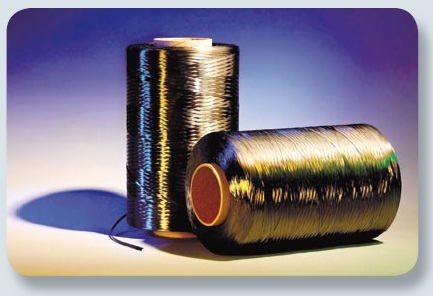 HexTow® carbon fiber from Hexcel are produced in a continuous operation in which polyacrylonitrile (PAN) precursor -made by Hexcel in Decatur, Alabama- undergoes a series of precisely controlled processes. Exposure to extremely high temperature changes the precursor, yielding high strength-to-weight and high stiffness-to-weight properties through oxidation and carbonization. The successive surface treatment and sizing steps improve bonding and handle ability of the fiber. 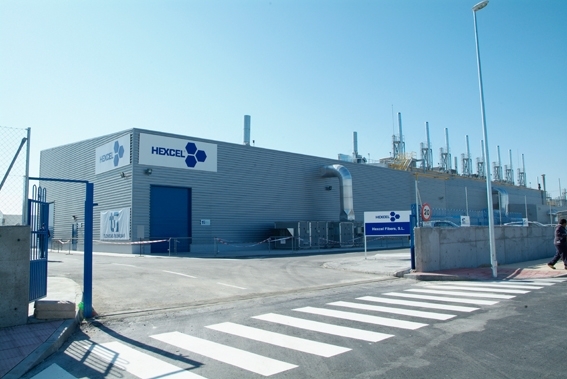 Illescas is the location for Hexcel’s first carbon fiber manufacturing plant in Europe. The plant was opened in 2008 and has a total surface area of approximately 45 000 m². Over 50% of the Airbus A350 XWB structure is made from composites and HexPly® M21E/IMA from Hexcel is the carbon fibre prepreg of choice for all the A350 XWB primary structures, including the wing and tail cone sections that are manufactured by the nearby Airbus Spain plant and Airbus partners in Europe.